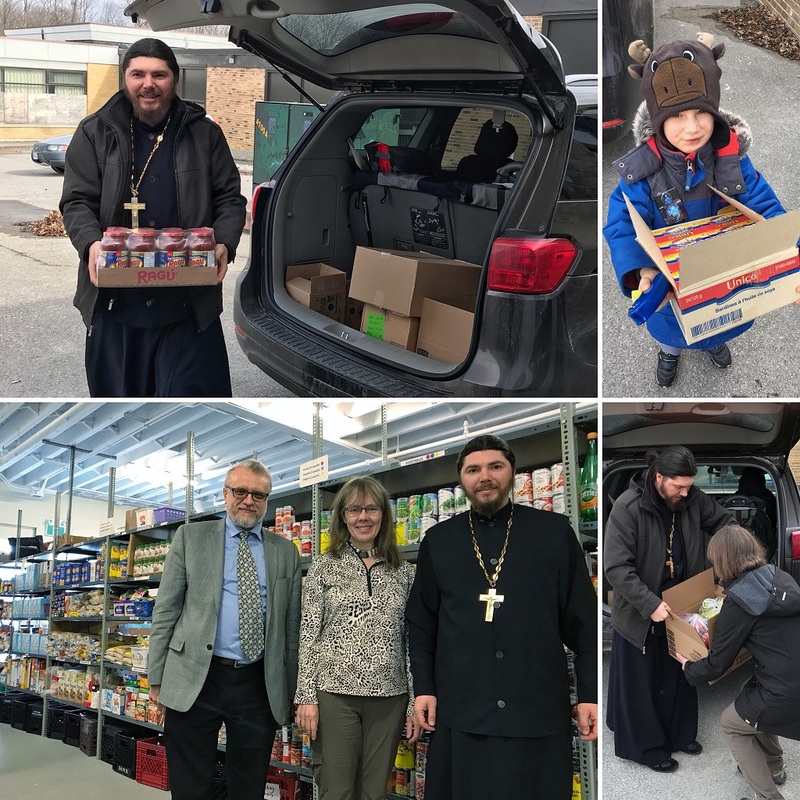 It’s not the first time that the clergy and the parishioners of Our Lady of Smolensk Orthodox Church, located in Georgina, take part in the local community activities. We help the poor as well as support municipal services in their activities. As per our tradition during the last week of the Great Lent Rev. Fr. 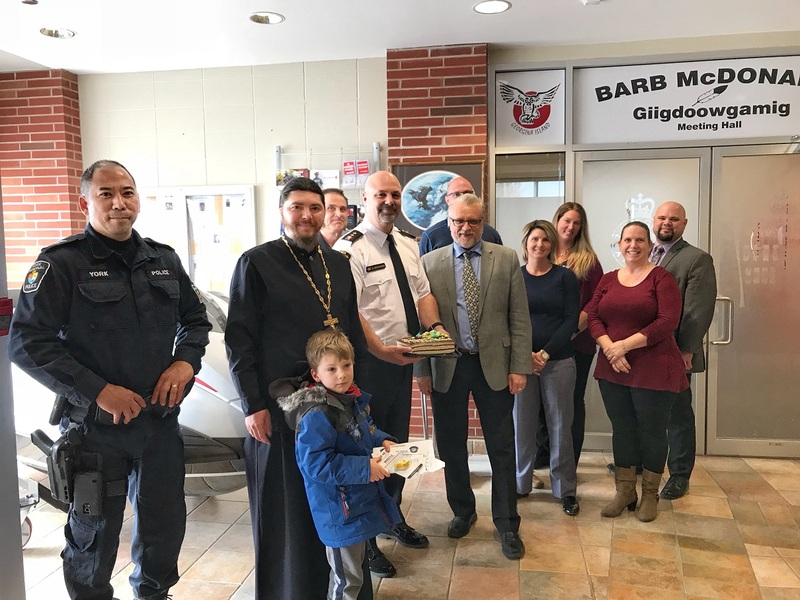 Maxim, the rector of the Parish, as well as representatives of the Saint Prince Alexander Nevsky Brotherhood congratulated the policemen of York Region and expressed appreciation for their dedicated service. 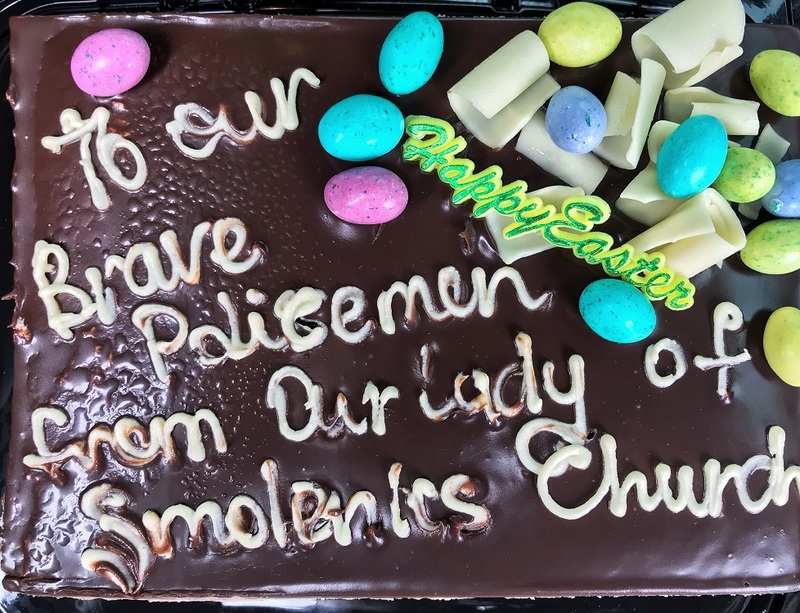 A special Happy Easter cake was made for the law enforcement officers and handed to the inspector of YRP #3 district Brian Bravener. There are many low-income families live In the municipality near the Church. 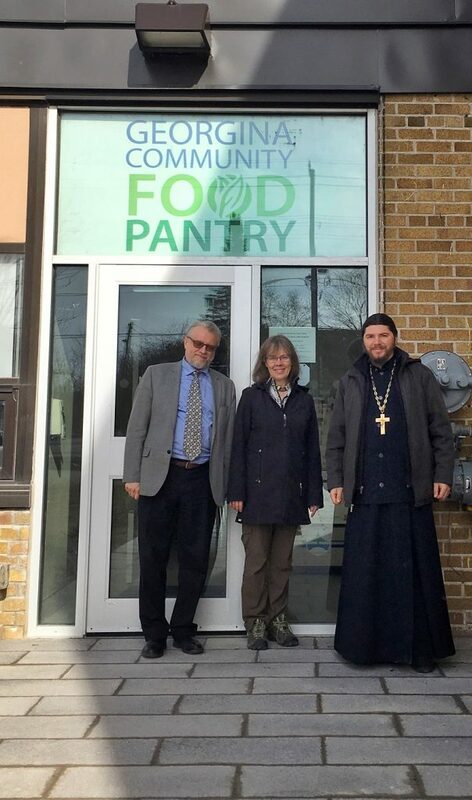 They needed help and support and are constantly receiving food aid through the Georgina Community Food Pantry. 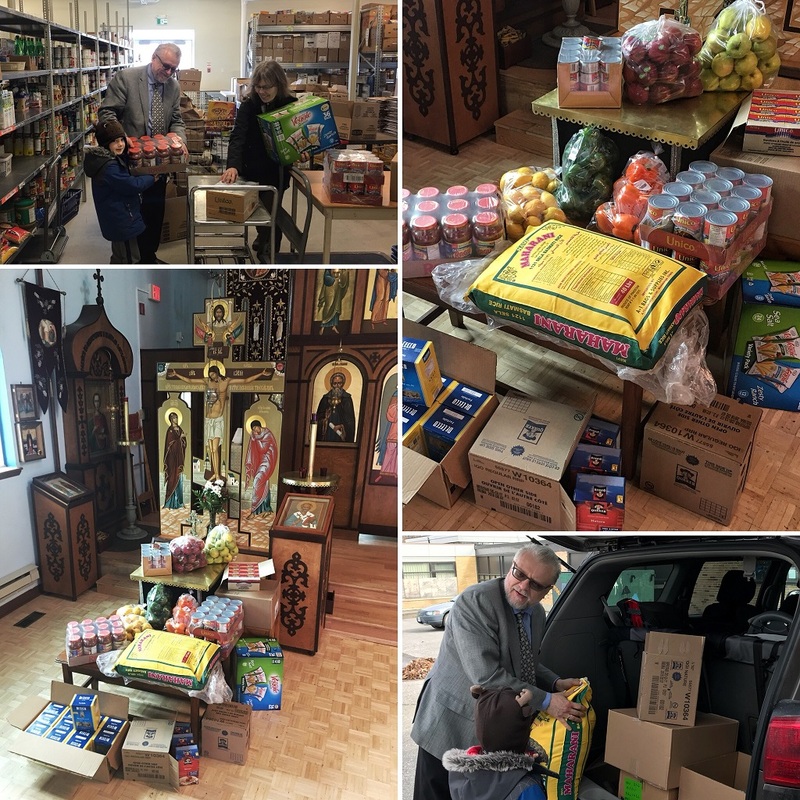 Parishioners of the Our Lady of Smolensk Orthodox Church met with the Executive Director Catherine Cook to deliver collected donations, including fresh vegetables and fruits, rice, canned fish and vegetables, pasta, cereals. This initiative will be continued on a regular basis. There is a special shelter in Jacksons Point for women who are victims of domestic violence. The shelter has met all of the necessary conditions to ensure these womens’ safety: the building has metal doors as well as bullet-proof windows. In order to avoid incidents, the location of the institution is not published and all communication takes place through phone calls. To date, 23 women are in this shelter. Many of them arrived with children, without money, clothes, personal belongings and hygiene products. 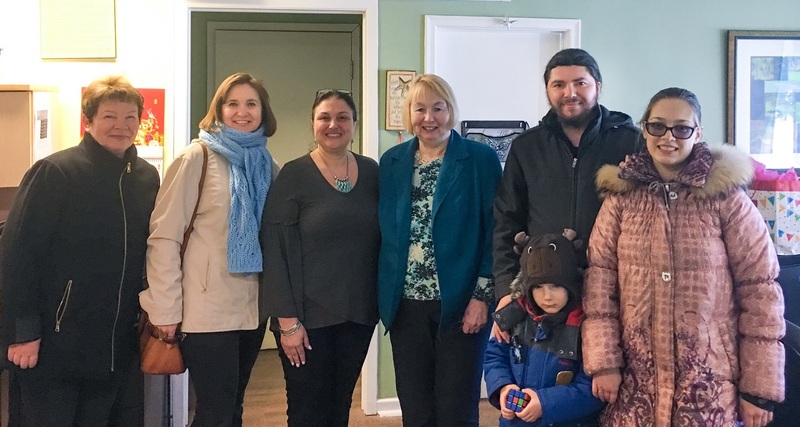 Representatives of the Sisterhood in the name of Saint Holy Martyr Grand Duchess Elizabeth Romanova at the Church delivered donations to the shelter, including new children’s shoes and clothes, pyjamas, bedding, and hygiene products. 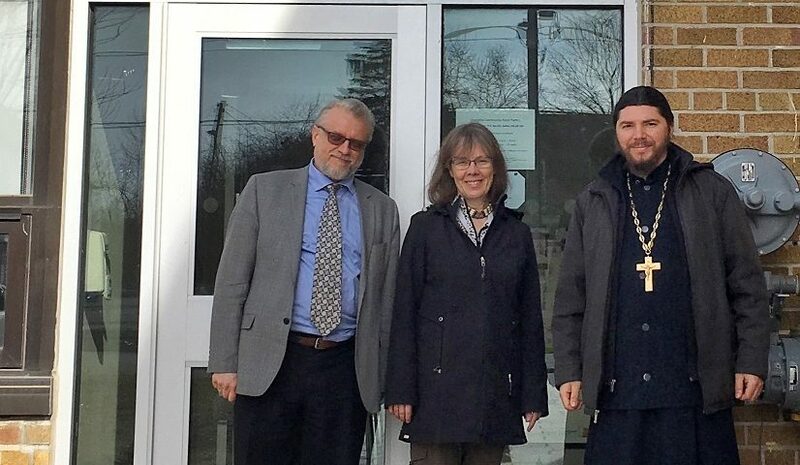 As an exemption, the administration of the facility has provide a short tour, told about their needs as well as the difficult lives the guests face. Some of them have expressed a desire to visit our Church. 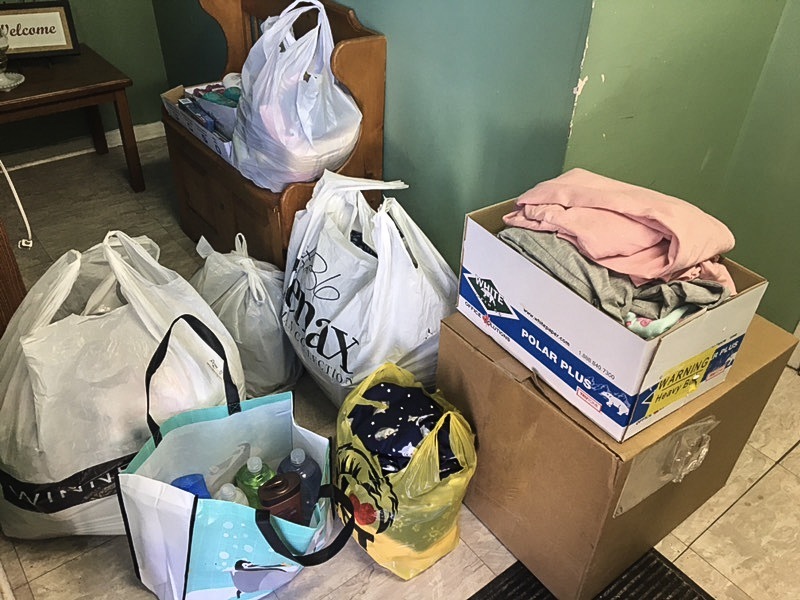 The institution is constantly in need of volunteer assistance to keep the building in good condition, replenish supplies of food, clothes, and cleaning products in addition to financial and material donations. The Sisterhood intends to continuously provide all possible assistance to this shelter.